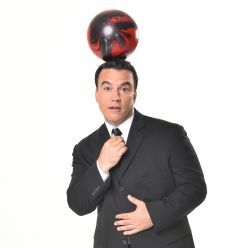 Randy Cabral has been dazzling audiences worldwide for the past 15 years with his unique blend of highly interactive, action packed comedy and juggling. He has performed over 5000 shows at Walt Disney World, headlined on most major cruise lines, and appeared on NBC’s The Tonight Show. When not performing, Randy spends his free time playing ping pong and the banjo. Not at the same time. Yet.